The St Lucia volcano, also called the St Lucia sulphur springs is said to be the only drive-in volcano in the world. 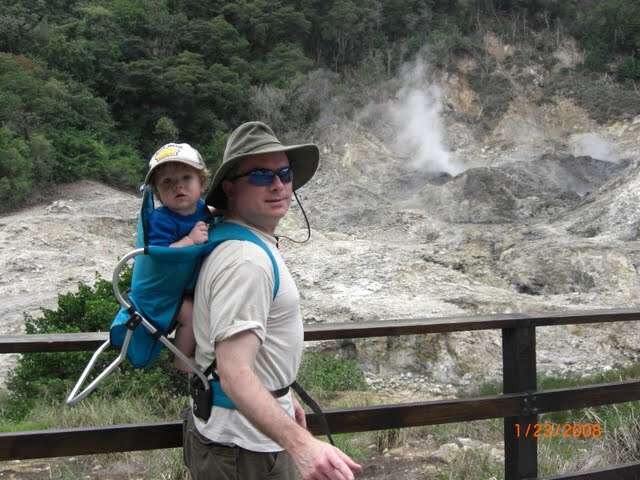 The last minor eruption occurred in the late1700’s. It was only a steam eruption but not one with magma and ash.In the 1830’s approximately 760 tons of sulphur was mined and exported. 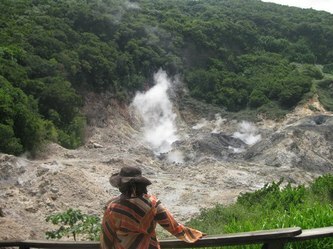 Although there are signs of activity going on, for example the boiling mud, water and steam that emerge from the crater, the St Lucia volcano is dormant.There are several pots of boiling water that are above the normal boiling point. There are also many colors at the surface as a result of sulfur, iron, calcium oxide, copper oxide, magnesium, carbon and other mineral deposited there. The caldera is believed to be connected to the ocean because of increase reaction during a full moon which causes high tides. The islands of the eastern Caribbean are linked via a volcanic arc, but the St Lucia volcano is different because the water has therapeutic qualities. You will find people who go to bath there in order to remove blemishes on their skin. Walking in the crater is now prohibited after one of the guides fell in a pool of boiling water when he was jumping up and down on it. Fortunately, it was only waist height, so he was rescued but he did suffer from some severe burns from the waist down. 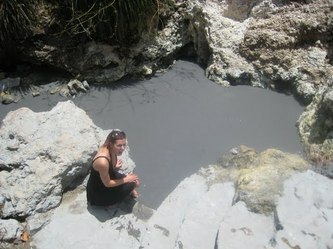 There is a very strong smell of sulfur that comes out of it. It is weak during the day but very strong at nights. You can smell it for miles away at nights but that is a good thing. If the smell goes away, then that would mean that there is going to be a volcanic eruption.The St Lucia volcano is located in Soufriere. 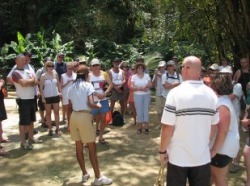 The people of Soufriere pride themselves on having the only drive in volcano in the world right at their door steps. In fact, there are people living within the perimeter of the craters.